Lyn's consulting engagements have included leadership and executive team development, cultural assessment and change, mergers, and individual feedback and coaching. She is particularly interested in helping teams at all levels improve effectiveness and working relationships, and in helping organizations maximize intellectual capital and create cultures that support flexibility and initiative. Lyn received her B.S. in Mathematics from the University of Georgia, where she was a member of Phi Beta Kappa. She received her M.A. in Sociology, with special emphasis in organizational sociology, from the University of Georgia. 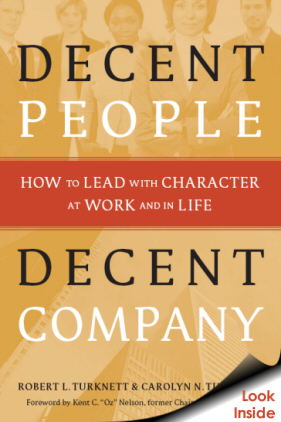 Lyn is, along with business and life partner Bob, the co-author of Decent People, Decent Company: How to Lead with Character at Work and in Life. The book is based on the Turknett Leadership Character Model™, a model that describes the kind of character all of us need to lead wherever we are. TLG sponsors a Leadership Character Awards program each year, honoring leaders of character in the business, education and nonprofit sectors. Lyn is a member of numerous professional organizations, including the Academy of Management, the Organization Development Network, the Society for Human Resource Management, and the Organization Change Alliance. Lyn has long been an active United Way supporter. She has chaired the United Way in DeKalb campaign, and is serving currently on the United Way of Metropolitan Atlanta Board of Directors. She has served as chair of the Community Investments Committee, and has served with her husband, Bob, as co-chair of the United Way Cole Society for Leadership Giving. She is also an elder in the Presbyterian Church.